Here's the Week in Tech — all the gear news you need, and none of the marketing gibberish you don't want. “She’s a beaut, Clark.” — Randy Quaid, talking about Enve’s road hubs, probably. If you haven’t hopped on the disc brake train and you’re still in love with your rim brake wheels, you’ll find a kindred spirit in Enve’s newly overhauled carbon hubs. There’s a lot going on here, but suffice to say that the new generation of carbon road hubs are stronger, encourage wheel stiffness, enhance bearing life, and improve drivetrain engagement. The hubs feature steel ball bearings rather than ceramic bearings, which Enve says will enhance bearing life when coupled with its improved bearing seal. A 40-tooth ratchet system replaces the previous generation’s 18-tooth ratchet for improved freehub engagement. And the flanges have been redesigned to reduce spoke fatigue. The front and rear pair will cost you $1,000, and they come with a five-year warranty. Mosaic Cycles is raffling off a one-of-a-kind titanium bike to benefit the Wounded Warrior Project. Pony up $10 per ticket for your chance to win a replica of elite racer Mitch Hoke’s XT-1 race bike, with its signature color scheme. (You can also get a stock color scheme if you prefer.) That’s a $10,500 bike for a mere $10 if you’re the winner. Hoke is a pilot for the Air National Guard, and he has used his success on the race course to help veterans’ groups throughout the season. Mosaic hopes to add to Hoke’s efforts by donating this custom bike, which will be built to the winner’s specifications. The raffle ends December 14 at 11:59 pm MST. Enter the raffle here. Emporia, Kansas has essentially become the capital of gravel in the United States. Donnelly Tires honors the new mecca with its EMP tire, which of course stands for Emporia, the home of Dirty Kanza. The EMP tire is Donnelly’s most aggressive gravel tire, with big side knobs akin to Donnelly’s BOS cyclocross tire. 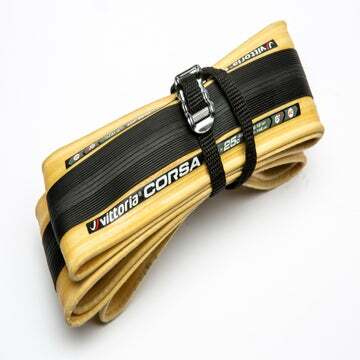 An integrate protection belt helps stave off punctures, and the center tread resembles that of Donnelly’s MSO gravel tire. You can choose from a 700×38 tubeless ready version for $72, and a 60 TPI foldable bead tire for $47. A 700x45mm tubeless-ready version will be available in the spring of 2019 for $72, and a 700x45mm 60 TPI version for $47. Sometimes you just gotta take it all with you. Why Cycles feels your pain. The R+ V3 has mounts galore for water bottles, accessories, and just about anything else you want to bolt or strap to your bike. That’s not all, though: The V3 also gets updated to a 160mm flat mount rear brake, which eliminates the need for an adapter. The seat tube is also ovalized, like Why’s mountain bikes, to increase pedaling stiffness while allowing for rearward compliance. The R+ V3 also gets dressed in some new graphics. Grab a banana and strap away. Lezyne’s GPS head units have been available for a couple of seasons, but until now you were limited to the plastic mounts included with the computer. Now K-Edge offers its CNC machined mounts for Lezyne GPS head units. That means you can bling out your bike with these durable, lightweight aluminum mounts if you’re rolling a Lezyne computer. There are six different mounts available to accommodate different mounting positions and accessory inclusion, and they will range in price accordingly. The new mounts will be available December 21, just in time for stuffing those Christmas stockings. Like many mountain bike companies, Fezzari is diving into the growing trend of electric-assist mountain bikes. However, the Utah-based company says its approach makes its new Wire Peak model handle more like an “acoustic” mountain bike. 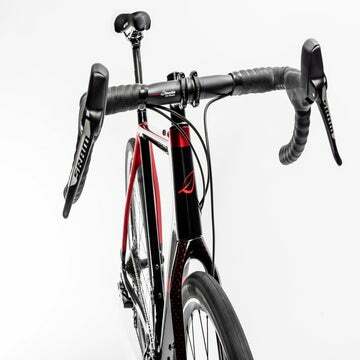 Fezzari’s engineers focused on making the chainstays as short as possible, 435mm. Despite the Shimano E8000 drive system, Fezzari says this bike doesn’t sacrifice handling. The bike is available in three models, the $3,599 Comp model with 140mm travel front and rear, the $4,599 Elite model with 140mm/150mm travel, and the Pro model, $5,599 that has a 160mm fork. As is the case with all Fezzari bikes, the Wire Peak is sold direct to consumer making this one of the more affordable e-bike options around. If you’re the motivated type who would rather push the pedals than snag a few of Santa’s cookies, Rapha will be holding its ninth annual Festive 500 challenge between Christmas Eve and New Year’s Eve. Sign up for the challenge and you’ll be tasked with riding 500 kilometers between December 24 and December 31. 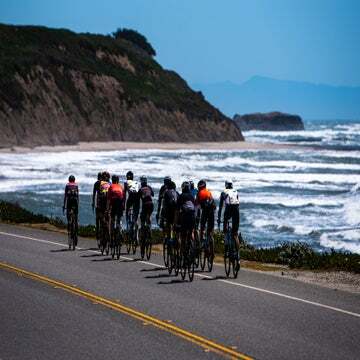 Commemorate your experience in photos, words, or other creative means and become eligible to win a slew of prizes, including a Canyon bicycle, Wahoo head unit, and more.